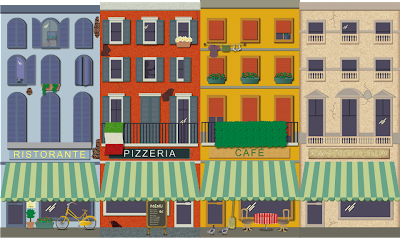 Okay, so here are all four buildings I created side by side. We plan on using these first as a background of our booth space at the National Missionary Convention. Each building will be on a banner that is 3 feet wide by 7 feet tall. Then for future presentations, for children, adults, classes, large groups, etc....; we can use any combination or number of these banners. Also, at our missions table, we can put one or two next to our other banner which is longways and sits behind a table. Hopefully, they will do more than just add color. They have many traits and characteristics of Italian architecture. They should, I used real buildings as my references. Hopefully, they will provide an Italian atmosphere as well as encourage questions. Tell me what you think! Whew. Building number four is done. And here it is. And then there was one. This is building three out of four that I am working on. I am very happy with how they are turning out. They are basically exactly what was in my head when I envisioned them, which is extremely rare. See if you can spot the pigeons. 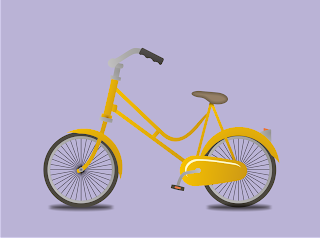 This bicycle is also from the building background banners that I am working on. I was so pleased with how this one turned out. It makes me want to ride it! 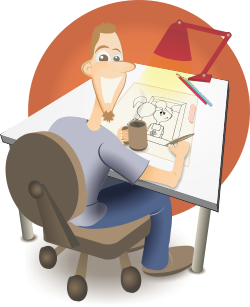 Or better yet use it for an animated short. 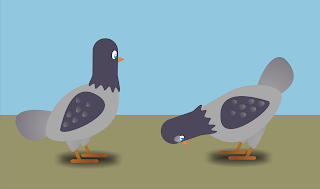 For the background banners I am working on, I made these pigeons. 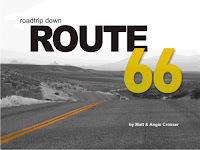 They are also inspired by a side project I am working on. And here is building number two for the backgrounds I am working on. Hopefully, I will finish buildings three and four in the next week. 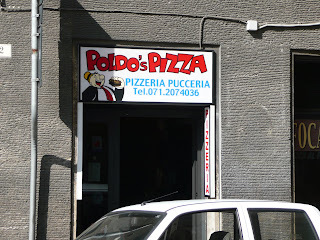 Wimpy from Popeye fame, has apparently moved to Ancona, Italy and set up a Pizzeria. You would have thought he would have stuck to burgers. Anyway, here is a pic. I'm not sure about copyright laws in Italy, but it seems there are many ripoffs of licensed characters all the time over here. 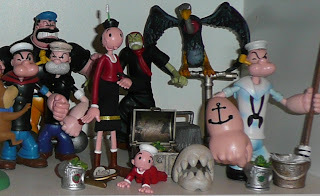 Speaking of Popeye, here is a photo of my Popeye collection. Too bad I don't have Wimpy!